Samsung Galaxy Win I8550 a new Quad core handset is announced . Samsung Galaxy Win I8550 is running on latest Android 4.1 jelly bean . Samsung Galaxy Win I8550 has 1.2GHZ Quad core processor running on Qualcomm MSM8625Q Snapdragon 200 chipset & Adreno 203 GPU . The device will we available in two versions based on SIM card Slots , Single Sim and another Dual sim . Samsung Galaxy Win I8550 has 4.7inch Display having resolution of 480 x 800 ( about 199ppi pixel per inch ) . Samsung Galaxy Win I8550 price is not yet announced but it seems that the price will be less than or around 20,000 . Samsung Galaxy Win I8550 runs on 1.2GHZ Quad core Qualcomm MSM8625Q Snapdragon 200 processor & Adreno 203 GPU . 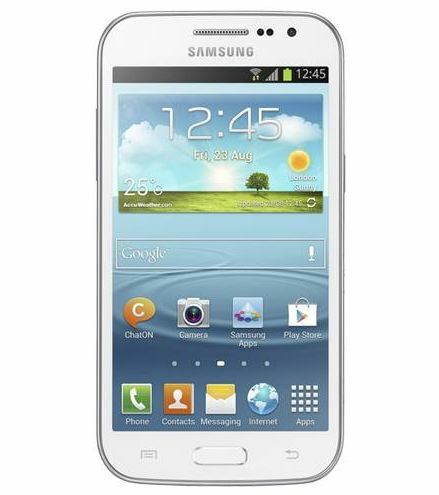 Samsung Galaxy Win I8550 has 1GB Ram & 8GB ROM ( internal memory ) . 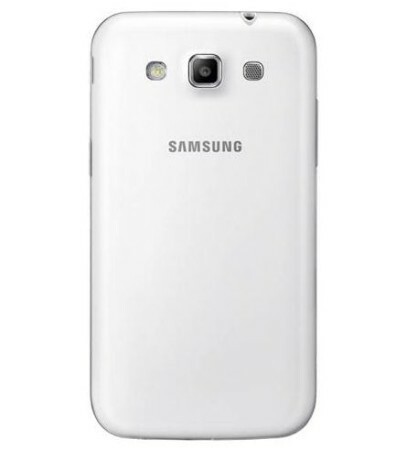 Samsung Galaxy Win I8550 has 5MP autofocus rear camera with LED flash and VGA front facing camera . Samsung Galaxy Win I8550 has 3G, 2G, wifi , Bluetooth , Fm radio , Micro Usb , Gps & 3.5mm audio jack . The device has Accelerometer, proximity and compass sensor . Sar value of the device is 0.67 W/kg (body in US ) . Samsung Galaxy Win I8550 is powered by 2000mAH battery . 4.7inch capacitive Display ( 800 x 480 resolution ) . 1GB RAM & 8GB internal memory . Accelerometer, proximity and compass sensor . Android 4.2 jelly bean . 5MP auto focus camera with LED flash at rear & vga camera at front . 1. Gionee Dream D1( Unboxing & Review ) – Gionee Dream D1 Has 1.2GHZ quad core processor and has 4.65 inch Super Amoled Display . We are reviewing Gionee Dream D1 soon . 2. Micromax A116 – Micromax A116 has 5inch 720p resolution Display and has 8MP camera . 3.UMI x2 – Umi x2 has 1.2ghz Cpu and 2GB ram . Umi X2 has 5inch display of 1080p resolution . 4. Xolo Q800 – Xolo Q800 has 4.5 inch Screen and has 1GB ram . 5. Umi X1s – UMi X1s is another Quad core smartphone fom UMI having 4.5inch display . 6. Umi S1 – UMi s1 has Quad core processor and 1GB ram . 7. Xolo x1000 – Xolo X1000 has 2GHZ intel Atom processor . 8. Zen Ultrafone 701 HD – Zen Ultrafone 701hd has 8MP camera at rear with BSI sensor and 3.2 MP at front . The price of Zen Ultrafone 701 Hd is Rs 11,999 .